Match 1 - Welcome.. To the Cosmic Wasteland! Match 3 - SAVE! THE TABLES! Match 6 - Sierra. Hotel. India. Echo. Lima. Delta. Part 2. Can't find a gif this time, but I'll take this instead. Match 3 - XAVIER! GET THE TABLES! That was a pretty alright PPV overall, nice to see Jericho back, and also masked Kane too. I swear to God, Jericho's returns are somehow the only returns which WWE are able to keep quiet. EVERY DAMN TIME. An hour of Rollins wrestling back-to-back was awesome to watch, too. Actually, looking back at it now there were a hell of a lot of memorable moments at this PPV, I think it's going to be looked back on in the future quite fondly. Turning our attention to the table, there's zero movement within the top 3, as Squires, myself and Matt all score 28 points each to keep a stalemate going. Nick jumps hot on our heels though after scoring 33 points and only being behind Matt due to alphabetical order, causing Dix to fall a place. olrodlegacy jumps 2 places over Chris and Stitch after a PPV high of 38 points. No movement down the bottom of the table, though comisserations to Laura, scoring just 15 points for the lowest score of the PPV. Last edited by Ash on Mon Sep 21, 2015 8:43 pm, edited 1 time in total. You're not the only idiot Laura, Ash has got my score wrong. And yours. I got 30, you got 15. I blame Excel. I'll check to see what's happened now. I need to stop thinking in terms of "who will win the belt" and more in terms of "who will win the match". Couldn't see New Day dropping the titles so that's why I went with them. D'OH. 1. How many pinfalls/submissions will occur in the Main Event? 2. Which 2 teams will make up the final of the Dusty Rhodes Tag Team Classic? 3. Will we see a heel turn from either Finn Balor or Samoa Joe? The deadline for this one is midnight on Wednesday. Happy Predicting! WHY IS THERE NO ENZO AND CASS MATCH?!?!?!?! olrodlegacy wrote: WHY IS THERE NO ENZO AND CASS MATCH?!?!?!?! Wow, stop reminding me of your terrible opinions Ash. Never mind Enzo & Cass, where the hell is Solomon Crowe? 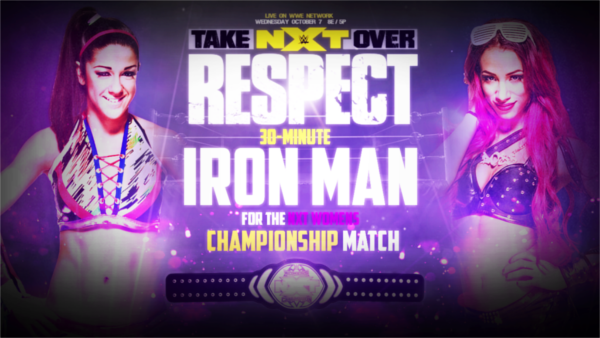 Match 6 - THIS is women's wrestling. Turning our attention to the table, not too much movement at all. GeordieSquires manages to hang on to the top spot by an extremely small margin, but Matt and I have swapped places after his near-perfect score. Dix falls 2 places, scoring just 12 points due mostly to his predictions regarding the Dusty Tag Classic, which allows for Stitch Lips to climb 2 places after a great score of 35 points. Down at the bottom, Slazo and Ploiper switch places, due to the former's measly score of 11 - the worst of the PPV. I guess I'll see you guys again at the end of the month for Hell in a Cell as we head into the final stretch of the year, where we see the last 3 WWE PPVs and the final NXT PPV of the year. 1. Who will answer the US Open Challenge? 2. How many title changes will occur tonight? 3. Will Sheamus leave the event as WWE World Heavyweight Champion? 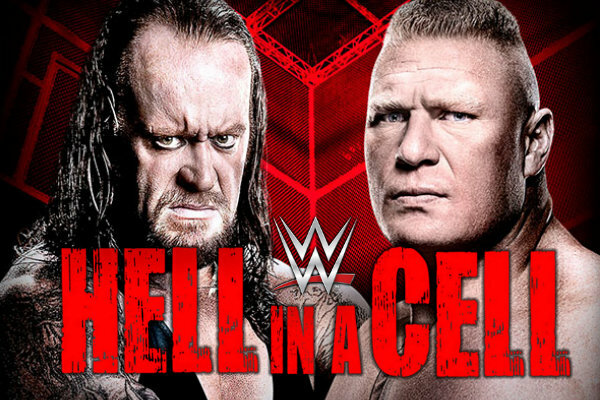 Hell in a Cell itself starts at midnight on Sunday, and as such the deadline for predictions this event is 11PM ON SATURDAY NIGHT. Bonus 1 - Tyler Breeze! Pinfall/Submission Bonus - This bonus again? Probably Rusev. Match 8 - Lesnar, and then hopefully I never see this match again. Bonus 1 - If I keep saying Sami Zayn for these questions he has to appear eventually, right?